It 1 am in the night and i am not able to hold my self to blog away after watching the movie "Harry potter and the half blood prince". The story began when the five of us Me, Hitesh, Sunil, Tilak and pranay planned to experience our first ever movie in Japan. Without doubt we selected Harry potter and the half blood prince. 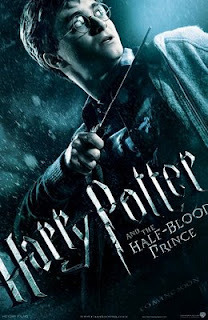 Well well, the movie name required to be changed from The half blood prince to The blood sucker prince. Continiuosly we bored for most of the time. Some of the animation of movie was really unmatched like previous series which i really admire. I used to enjoy Harry Potter with full velocity but from last series "The order of the phoenix" i an being get down in every front. But my main motive and attraction was to experience the movie in the world biggest screen with 3D IMAX motion. The first 12 minute of movie was breathtaking with it's rich 3D motion. It was ultimately a different experience to watch 2D movie in 3D motion. But this was not the end. Once 3D was finished i was astonished to see the crystal clear quality of the movie and thrilling sound created by IMAX. It seems that i am watching the movie in some best quality plasma HDTV. The contrast, brightness and color was mind blowing. We spend around 2200 yen for movie which is equivalent to 22 dollar and was quite expensive. I must say that i will associate only 1 dollar with the movie but the rest 21 dollar for the greatest experience of my life. I will not recommend to see the movie but to experience the theatre. May be next time i will go for some good action movie.